I got three of these no name, unbranded kits from a seller on eBay. 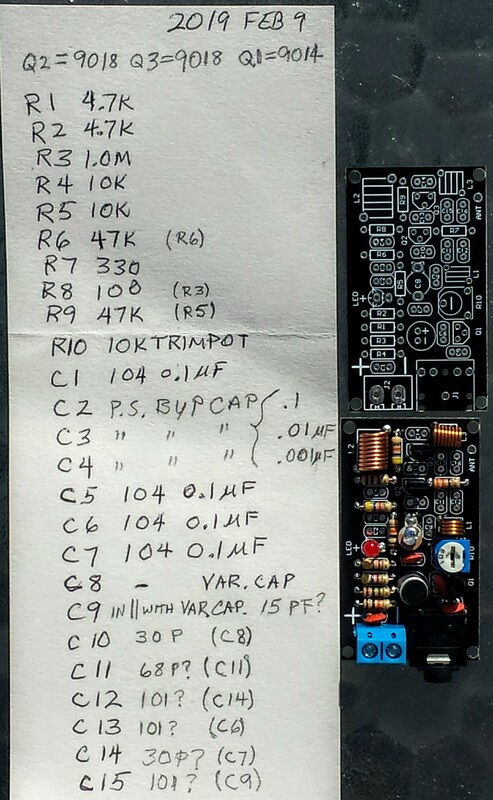 The kit comes with all parts and a PC board, but the labels on the board are R1, R2, R3… but no values for the parts. 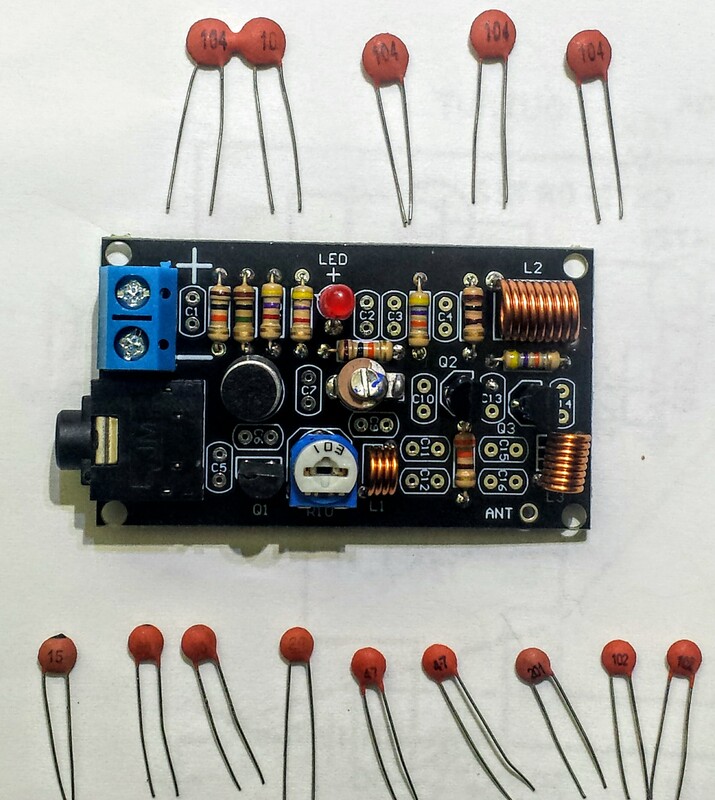 There is a schematic and photo of the completed board, but the schematic has no values for the parts. It’s like they wanted to hide the values from the buyer. The board in the photo is labeled 17032700195 but the boards that came in the kits have no labels – nothing, not even Chinese. The parts that are unique, like jacks, trimpot and a trimmer capacitor are easy to place on the PCB. The color photo shows the values and locations of the resistors, so those are not a problem. The three transistors weren’t difficult, one is the 9014 microphone amp and the other two 9018 transistors are RF. But none of the capacitor values are readable, so it’s totally a guess as to where they go. So I used another similar kit as a reference, and traced out the runs and compared the kit parts to the other kit’s schematic. I got a rough idea of the capacitor values and wrote them down. See the attached photos. Some of the values have question marks because I couldn’t be certain, the values are not directly comparable. But I think they should be good enough to work. There are three P.S. bypass caps, the smaller values have closer holes. They are all side-by-side, connected between plus and ground.